The TX-22 Special sets upright without forward motion, which gives it the ability to troll extremely slow without restricting performance at higher speeds. 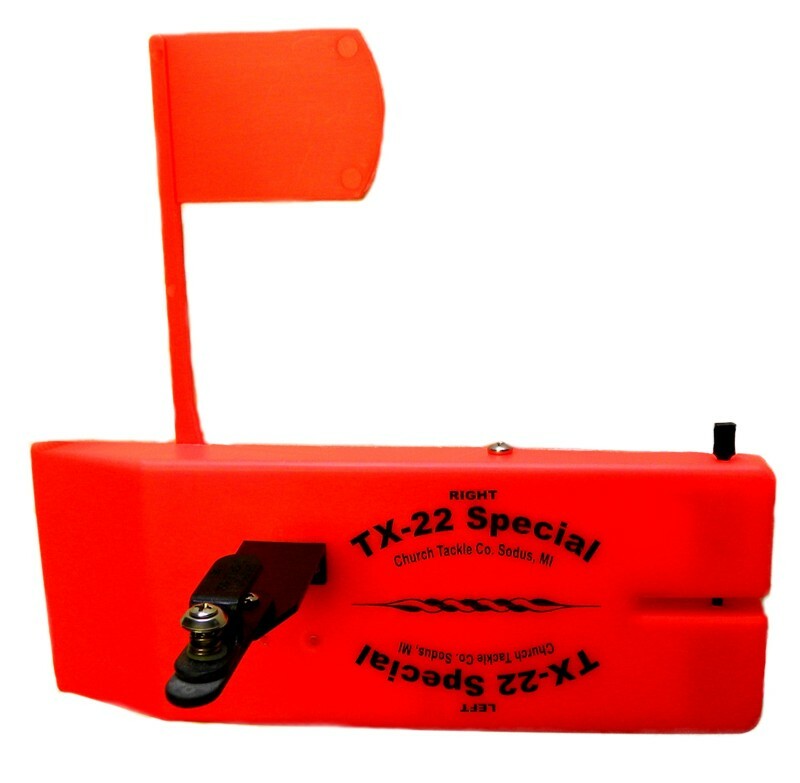 The TX-22 Special is also reversible allowing flexibility to your fishing needs. The TX-22 Special has the same patented clip and rear pin that makes Church Tackle planer boards the #1 choice.